In my final days in Jerusalem I found myself in conversation with a businessman from East Jerusalem that raised more questions for me about the day-to-day working relationship between Palestinians and Israelis. My acquaintance has been building new apartments in East Jerusalem. When I expressed my understanding that getting permits to build in East Jerusalem is extremely difficult for Palestinians to do, he said that he had worked for the government and so had good connections. He said he had gotten the job originally because his father had been friends with a previous mayor of Jerusalem. As we discussed the difficult economic times in real estate, he told of losing a money in a project in a Jewish neighborhood of Jerusalem – indeed, one considered a settlement by the international community since it is on the other side of the 1967 Green Line. When I expressed surprise at his being able to be involved in a project in a Jewish area (I did not approach the settlement issue) he said he worked with a Jewish partner. He said he had many Jewish friends, even a friend who live in Kiryat Arba – perhaps one of the most ideological settlements, located near Hebron. He told a story that once after a loss in his family, these friends came and stayed with them for three days. Because many East Jerusalemites do not have Israeli citizenship, I was surprised that this man was an Israeli citizen. Perhaps he was from somewhere in 1948 Israel and had only recently moved to East Jerusalem? Perhaps his family was one of the few to accept Israeli citizenship when it was offered? I had thought there was only a short window of time after 1967 when East Jerusalemites had been offered the choice citizenship or permanent resident status, but now I’ve been seeing articles like this one saying that EJ folks can “upgrade” their status if they wish. In any case, I commented that being an Israeli citizen must make things easier. I meant only in business, but he was quick to correct me by telling me several classic Ben Gurion airport hassle stories. My favorite was not about him, but about him seeing a priest with one bag returning to Rome being delayed for more than an hour – “what else were they checking for?” he wondered. I have heard other vague references to working relationships, even in Jerusalem, that allow Palestinians with Israeli citizenship to get things done. In another instance, a shopkeeper in the Old City of Jerusalem told me that he could get the necessary permits because he had Jewish friends who helped him. It is, of course, a mixed message. On the one hand it raises the specter of corruption, and on the other it suggests that people are relating to each other in peaceful ways. More generally, it makes me wonder about the actual structures that limit municipal services, like water and sanitation. What are the ways some Palestinians and Arab-Israelis use to get around the policies that limit their lives? I recently visited a friend’s home for dinner. She lives about a half-hour drive from Tel Aviv, when traffic is light. In her small town of about 7000 people one can feel the cool hilltop breezes and see stunning views. As in much of Israel the flowers are remarkable, spilling over every white picket fence. In the middle of her town is a house of worship, a generously appointed community center, a country club with pools and tennis courts, and a small park overlook. Slightly down the hill is a small collection of neat stores and cafés. As the day was turning into evening boys were playing basketball on a shaded court, men and women were on the tennis courts and children were running around the streets. My friend was so welcoming, cooking us a delicious traditional dinner of shakshuka and introducing us to her wider family who came from several different towns to join us. 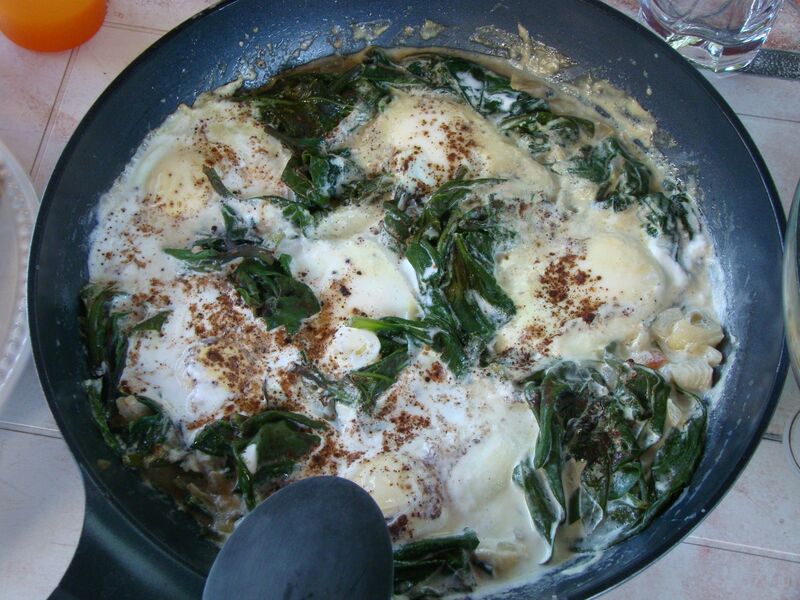 “The Ramadin tribe fled the Negev in 1948 and settled in what is now known as Ramadin village. Small herding clans subsequently splintered away from the village, and the Ramadin Al Janubi community moved to its current location south of Qalqilya in the 1950s. 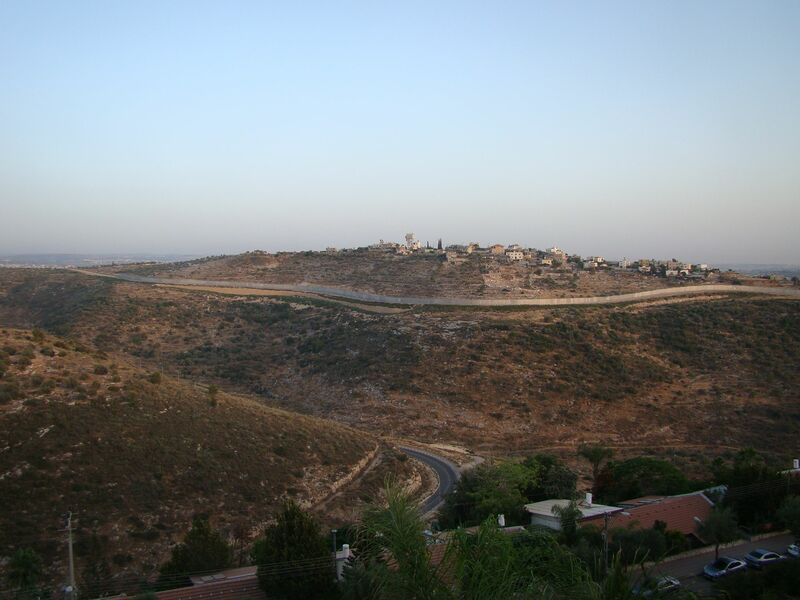 In 1983, the Israeli settlement of Alfei Menashe was established on grazing land used by the community, and in 1995, Ramadin Al Janubi received its first stop-building order. Israeli authorities have issued demolition orders for some 30 structures over the years, although no demolition has ever occurred. In August 2003, the Barrier was built to include Alfei Menashe on the ‘Israeli’ side, thereby enclosing five nearby Palestinian communities, including Ramadin Al Janubi. View of the new barrier from my friend’s house. This leaves Ras al-Tira on the West Bank side of the wall, but the Bedouin village (not in photo) remains inside the wall. In 2004, these communities submitted a petition to reroute the Barrier to the High Court of Justice (HCJ), which ruled in their favour. Two years later, the Ministry of Defense published its plan for the new route, effectively leaving three villages on the West Bank side. Ramadin Al Janubi and another Bedouin community, however, remained inside the Alfei Menashe enclave. The Bedouin communities again petitioned the HCJ, but the Court rebuffed them and approved the new Barrier route. Shortly thereafter, the Civil Administration began offering relocation packages, which the communities rejected. 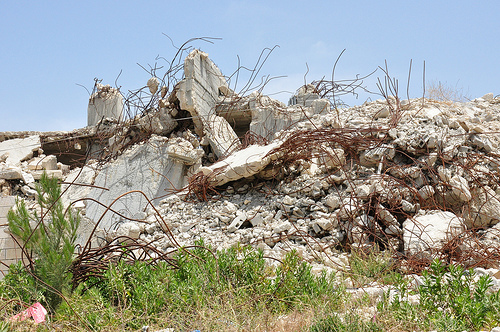 Israeli authorities issued four final demolition orders in September 2010 and informed community members that their displacement may be imminent. Since 2009, community members have faced increasing obstacles in accessing the rest of the West Bank, as well as in bringing goods – especially food – across the Barrier. Meat, dairy products and eggs were all banned for some time. Ongoing community efforts, with support from the PA, UNRWA and other UN agencies, have improved the situation somewhat, but restrictions remain in effect. In September 2011, the Israeli military transferred control of the Jaljoulia checkpoint, which controls crossings in the area, to the Crossing Points Administration (CPA). Since the transfer, community members must exit their vehicles 400 metres from the checkpoint and remove all items, after which they must walk to the checkpoint and pass through security checks and scans. According to community reports, a crossing that once took ten minutes now routinely requires several hours. In addition to these inconveniences, the new checkpoint procedures undermine community safety. In one incident, a fire broke out, and the fire truck – which had to travel from Qalqilya, as Israel considers the community to be under PA control – arrived just as community members extinguished the flames themselves. According to villagers, an Israeli fire truck had arrived right away, but did nothing beyond ensure that the fire did not spread to Israeli areas. These new procedures have also further restricted UN access to the community, with UNRWA and other agencies unable to cross Jaljoulia checkpoint. In practice, CPA authorities do not respect any distinctions for humanitarian actors and insist on carrying out vehicle inspections, contrary to ratified UN Privileges and Immunities. As a result, UN staff must access the community from Israel, greatly complicating visits by staff who hold West Bank IDs. Among other consequences, this has resulted in many staff – including UNRWA-funded mobile health clinics – being effectively unable to reach the area. One can find another description of the situation at the blog of a Palestinian non-violent democratic reform movement. 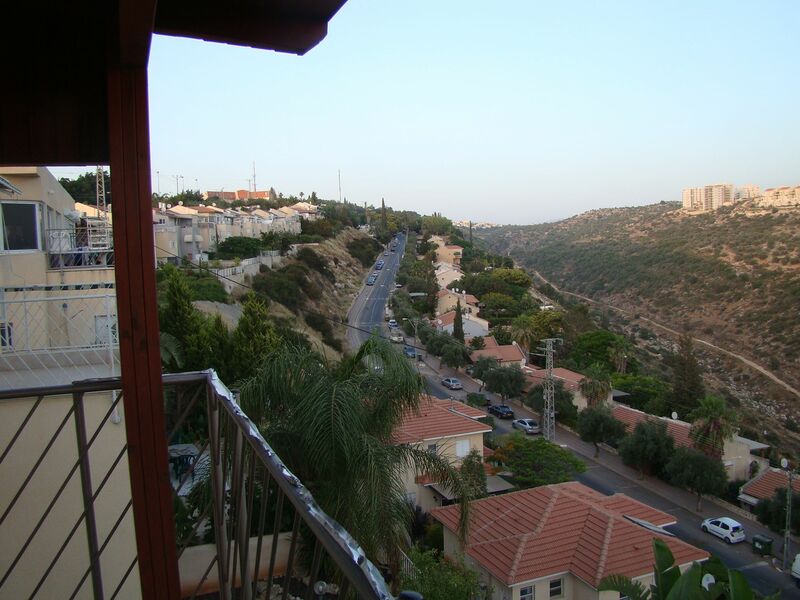 In this article from the Winnipeg Jewish Review, a local Alfei Menashe real estate agent and council member are quoted about the town seen from my friend’s balcony. Their comments sound to me very much like blaming the victim. “‘Now the villagers of Ras Atira belong to Mahmoud Abbas, [President of the Palestinian Authority], not us. He can look after them,’ says Meir. ‘Now some of them regret the change,’ said Levy. ‘Some of the villagers work in construction and are building our new projects in Alfei Menashe. They need to feed their families and now because they are on the other side of the fence it is harder for them to get here. So Israel now is going to have to build a gate near their village along the security fence so they can get to work in Alfei Menashe. The army will have to man it an give them approvals to come in…Now, belatedly, some of them realize that had they not moved the fence they could have probably become Israeli citizens [if and] when a peace agreement is signed…That would have given them more benefits..But, now it’s to late,’ he adds. Even in my last weeks here in Israel and the Palestinian Territories I am learning more about the conflict and how it manifests in peoples’ daily lives.